The 80’s called? They want their fancy dinner back? Well they can’t have it! Does anybody make this stuff any more? Have you ever even heard of it? Well, it was a family staple when I was growing up. There isn’t much too it and it doesn’t have a bunch of crazy ingredients but I still like it, well into adulthood. The flavor isn’t exactly explosive, it’s more like creamy. 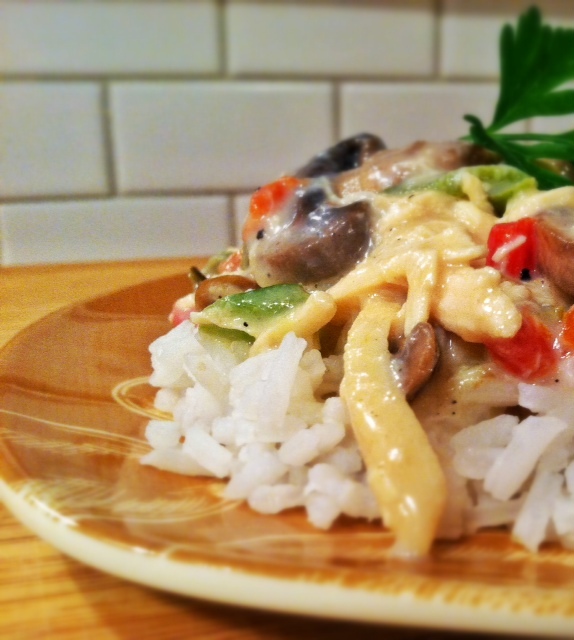 The flavor is creamy and comforting. We always served it over rice, biscuits or puff pastry, if we were feeling fancy. Nothing says fancy like puff pastry, right? In the 80’s, people seemed to boil chicken a lot but what flavor comes from that? Besides the flavor of water which I appreciate, but not with my chicken. 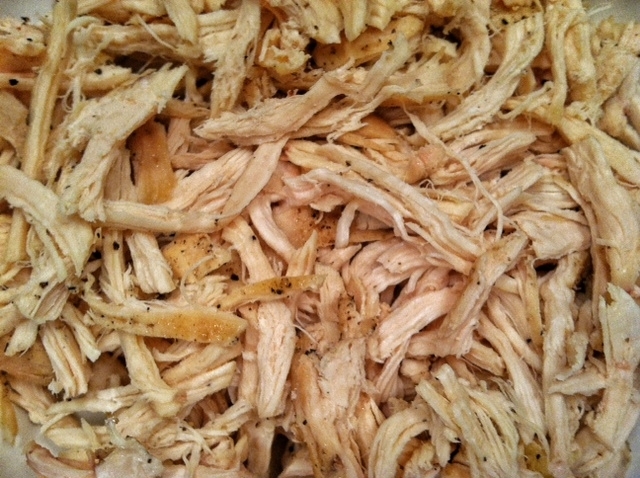 To make things easier on myself and more flavorful, I used a rotisserie chicken and just shredded the breast meat. 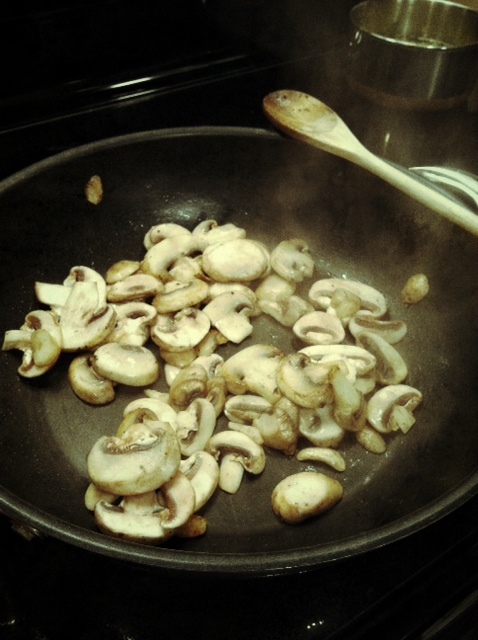 I sauteed mushrooms until all the water was evaporated and then i removed them from the skillet to a small plate. A diced up bell pepper was next. Then I made a very causal roux with a little butter and some flour and mixed those right in with the sauteed bell pepper. Just be sure to whisk quickly so you don’t get any lumps. 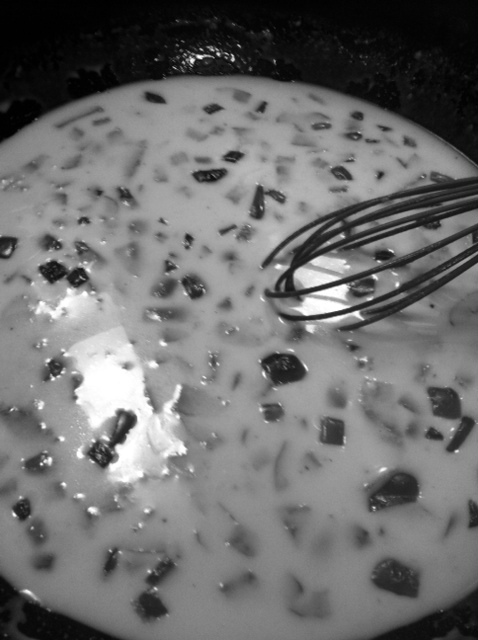 After about 2 minutes of whisking, the mixture should begin to thicken and become saucy. 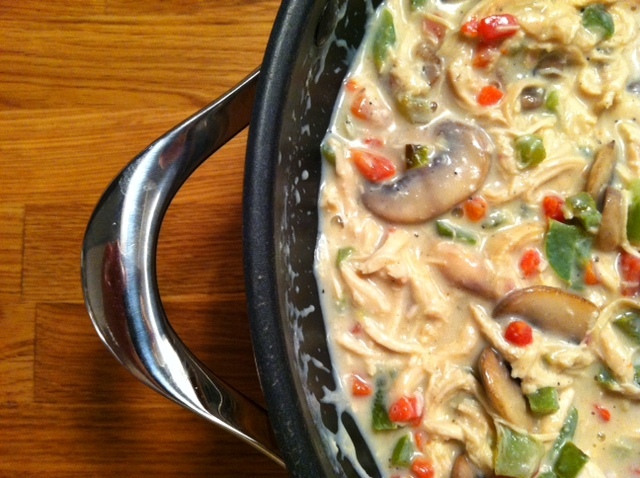 When you reach the desired consistency, add the shredded chicken and the jar of pimento and stir through to warm. Voila! 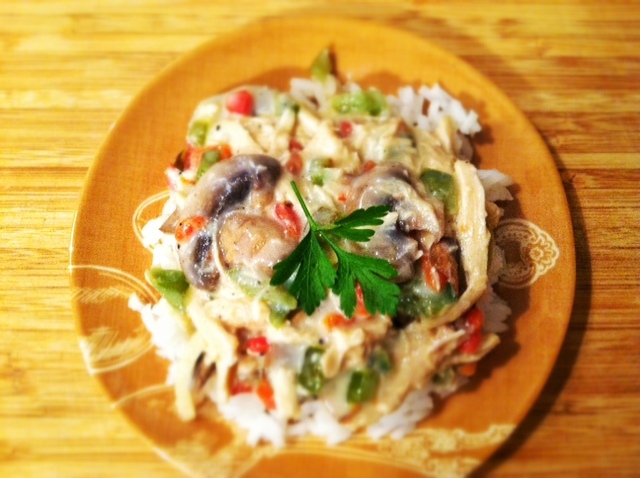 A meal fit for a person who wants a quick weeknight meal with around 10 ingredients. over medium heat, melt one tablespoon of butter and saute mushrooms and onion until water has evaporated, about 7 minute. remove the mushrooms to a plate and melt another teaspoon of butter and saute green bell pepper until tender, about 5 minutes. add the last tablespoon of butter and let it melt. 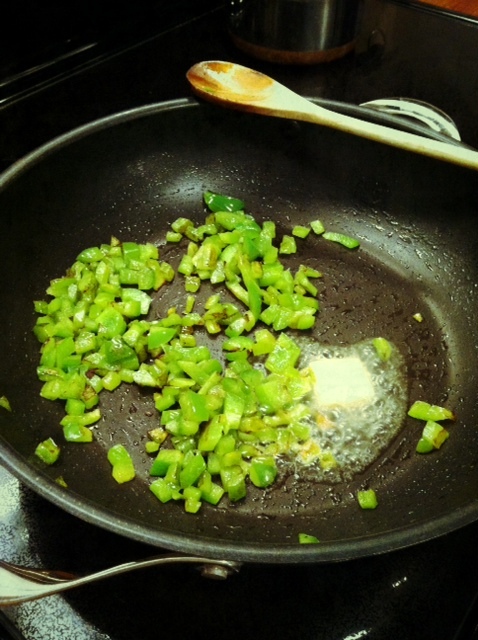 sprinkle flour over butter and green bell pepper and stir with a silicone whisk. when flour is cooked (about 2 minutes) and well incorporated, slowly add milk, whisking constantly to avoid clumps. When all the milk has been added, continue whisking on medium heat until the mixture has thickened to a gravy like consistency. Serve over: rice, biscuits, toast, egg noodles or puff pastry! Or eat it by itself!